For our first voyage from our new home port, we wanted something simple. And since we hadn’t outfitted the boat completely, we needed a destination with a restaurant, or it would be cheese and crackers for dinner. We went down to the boat Friday night in order to wake up on board and head out to our next destination as early as possible: Mattapoisett. We ended up leaving around 9 A.M., straight into a northeast wind against the tide. This made progress very slow, it also was our first lesson to watch the tides in Buzzard’s Bay as sailing against them can be a slow frustrating process. We tacked back and forth making our way up the the coast from Padanaram toward Mattapoisett. Our speedometer and distance meter, having collected a lot of algae during their idle time, were not working. So we had to guess our speed and how far we’d traveled (I guessed about 10 nm, but it could have been much more). Finally, as we neared the harbor, it started to rain slightly so we turned on the engine to avoid anymore tacks. At 2 P.M. we called the Mattapoisett Boatyard to procure a mooring, which was done in short order. It was the weekend of the Marion to Bermuda race, so many people had vacated their spots. The Boatyard launch came out to meet us and bring us to our mooring: $25 dollars for an outdoor shower and launch service. As we would discover later, this was cheap for a mooring in Buzzard’s Bay. After getting in we decided it was time to do something we had yet to accomplish: putting the name on the boat. I had ordered a vinyl name for Bumbré, designed by me for the transom, but had not had time to put in on myself. Now, in the calm Mattapoisett Harbor, seemed like as good a time as any. We hoped, since we’d thought of the name while she was on dry land, the gods of the seas would be kind to us putting it on while she was in the water. After we finished cleaning the transom we applied the vinyl sticker and let it sit for around 30 minutes. Then we peeled of the backing paper to reveal “Bumbré” for the first time. It came out looking very nice and clean, Bumbré now seemed complete; whereas before she had no identity, she was now identifible. As it got later in the day, we decided to inspect Mattapoisett from dry land. We walked along the beach and watched as people set up for wedding that we’d later hear from our boat, then headed up to the Ned’s Point Lighthouse, but we were too early in the season to go to go to the top of the lighthouse. As we headed back to the boatyard, we walked by the wedding again by the roadside. The guests were beginning to arrive for the ceremony. We took a ride for the launch over to town to have a look around and scope out what was the only restuarant in town, the Mattapoisett Inn. We got off at the Town Wharf and headed toward Shipyard Park and its rather tall flagpole. 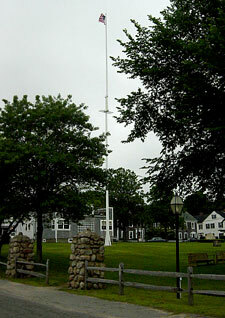 The original flagpole at this spot was the mizzenmast from the last whaler in Mattapoisett, The Wanderer, built in 1878. After years of abuse from lightening strikes and storms it was replaced in 1993. Just accross the street was the Mattapoisett Inn, but we keep walking around town a bit before it started to rain. After a quick loop through town we headed in to the inn for dinner. Being the only restuarant around the harbor it was very popular, so we had a seat at the bar and enjoyed a nice meal. 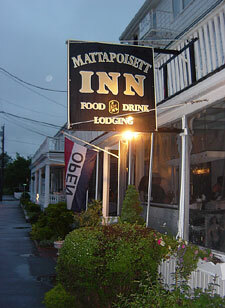 Built in 1799, the Mattapoisett Inn is the oldest seaside Inn in the nation. It was consumate “New England,” and its food didn’t disappoint. We walked back to the boatyard past the wedding again, which was now in full reception mode. Back aboard we could hear the music and and see the lights, and we sat up enjoying the night until the activities of the day caught up with us and we retired to bed. We awoke to a cold damp morning and a weather report that did not sound encouraging. We went in to town to use the public bathrooms, so as not to “fill up” ours. We’d had had heavy rain during the night. We finished our duties and headed out, hoping to beat the rain that was sure to come during our sail home. We departed at 8:50 A.M., and by 10:45 we were rounding West Island, not to far from home. 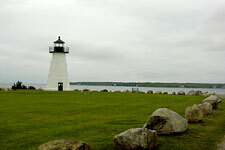 The problem was soon after we left the safety of Mattapoisett, the rain started in full. We donned our foul weather gear and soon were in heavy fog as well. This was not shaping up to be a very good day. But we set the GPS and kept going. The rain was annoying, but the seas weren’t overly large, running maybe 2 to 4 feet, and the wind was still from the northeast–so we were running downwind. After three wet hours, we were on our mooring and down below packing up. Quickly, we threw everything into the dingy and headed in, and about 100 yards from the boat the rain started full force. I chose to ignore the “No Wake” rule and put our dingy to the test: before we know it, we were speeding through the harbor toward our dry car. What Can We Learn From Cuba’s Two-Tier Tourism Economy? Editor’s Note: A version of this article was originally published at Tidepool.org. It has been reedited and republished here with permission from the author. Imagine a place where the bottom has just dropped out of the economy. The world market is glutted with the region’s main product, and relations with its biggest trading partner have gone south. Local economic planners put their heads together and decide that the bridge to the future lies in tourism, so they start luring visitors to the area, but they haven’t reckoned on the social upheaval that could arrive as a by-product of the tourist economy. That synopsis echoes the experience of many towns in the region I call home, the Pacific Northwest, where salmon prices have plunged with the spread of fish farming, and lumber mills are hurting because of a glut of New Zealand plantation timber and trade disputes over government support for the forest industry. Some have put their faith in tourism as a pillar of the new economy here. But this summary describes a different place equally well, a place that is several years further down that path than anywhere on the Pacific coast, and a place where a recent reporting trip brought me into close contact with the two-tier tourism economy: Cuba. Irrespective of the Cuban government’s reprehensible jailing of political dissidents in recent months, the Cuban experience holds relevance for rural regions around the world, including the likes of my home, that are counting on visitors to lift their economies out of the doldrums where they have languished for the last several years. The Soviets had given the Cubans a stunningly good price for its sugar, accepting Cuba’s sugar in exchange for Russian oil. When the Soviet Union collapsed, Cuba found that selling its sugar at the world market price would fetch less than twenty percent as much oil as it had received before. Thanks to the growth of tourism, the industry injected $1.9 billion into the Cuban economy in 2001, a tidy sum in this country of 11 million inhabitants. Tourism is now the largest source of foreign currency for the island nation, topping sugar and tobacco. The success of tourism notwithstanding, the “special period” continues today in a milder form, with shortages of key commodities such as cooking oil and soap. Cubans receive a ration book that allows them to purchase a certain amount of basic staples at highly subsidized prices, to match the minuscule salaries that most employees receive–on average, the peso equivalent of US$15 per month. But the rations of many items are meager–one egg per week, for example. For some Cubans, these shortages have been softened by an influx of foreign currency. In 1993, Cuba legalized the possession of U.S. dollars, making the greenback legal tender alongside the Cuban peso. The move was tinged with irony because the hard currency circulating in Cuba is issued by a government that has been trying for forty-four years to bring about regime change on this Caribbean island, by methods ranging from invasion and economic strangulation to outright assassination. To add to the irony, nearly all of the dollars left behind by visitors had been exchanged from other currencies. Apart from Cuban emigrants visiting their families, just 80,000 of Cuba’s annual 1.8 million visitors come from the United States, thanks to the U.S. prohibition on most travel to Cuba. Instead, the majority come from Canada and the European Union. Indeed, Cuba may be the only country in the hemisphere where independent U.S. travelers still hold any novelty value for locals. But introducing the dollar was an intensely practical choice, since many Cubans benefit from dollars sent to them by relatives in the United States. According to the U.S. State Department, more than half of all Cubans receive remittances from outside the country, totaling about $900 million per year. And the choice of the dollar was made before the introduction of the euro, which might have offered a viable alternative. With dollars circulating in the country, a two-tier economy developed. 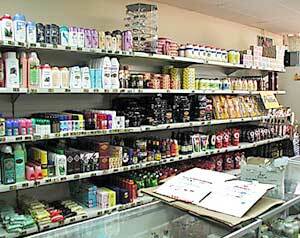 Scarce imported goods–and even some of local manufacture, such as rum and coffee–can be had at dollars-only stores, but are hard to find or unavailable at peso prices. 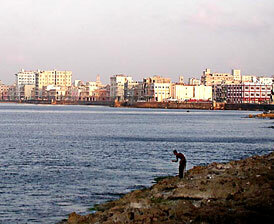 As a result, Cubans who earn only in the peso economy scrape by, while those with dollar incomes live more comfortably. This has widened the gulf between Cubans’ material standards of living, which for decades did not exhibit such yawning inequalities. As an American hailing from a part of the country undergoing similar (if much less drastic) change, witnessing this economic divide gives me pause, and rightly so. Many rural areas on the Pacific coast of Canada and the United States have also seen the disparity among incomes widen in recent years. Old sources of livelihood have dried up, and new forms of income–arising from transfer payments from outside the region and from the service economy–have become more significant. For instance, the region of southern Oregon and northern California known as Jefferson State has seen the share of residents’ income derived from nonlabor sources–such as pensions, rent, interest, and dividends–nearly double since 1969, to forty-four percent of all income. 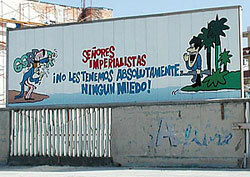 That plays the same role in the economy as the remittances enjoyed by Cubans with relatives overseas. 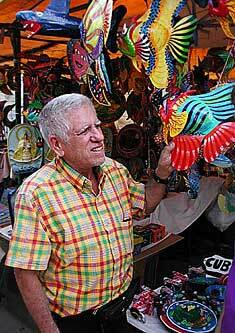 Apart from family largesse, the tourist economy is the main potential source of dollars for Cubans. Service workers still earn peso salaries, but they receive tips in hard currency. 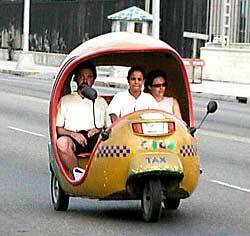 One taxi driver piloting the ubiquitous three-wheeled motor taxis called “huevitos” (“little eggs”) spoke superb English–he turned out to hold a master’s degree in linguistics and had quit his job as a high school English teacher to take the wheel of a cab. Now he earns a comparable salary from this state-owned enterprise, but rakes in as much in an evening’s tips as he earned all week in the classroom. So many professionals have made similar choices that Cuba is experiencing a shortage of many skilled workers, prompting the government to establish academies that train students to become teachers and social workers straight out of high school. Although the Pacific Northwest doesn’t face quite so extreme a situation, the parallels are worth noting. Communities bear a social cost when talented entrepreneurs harvest the tourist dollar through t-shirt shops, ice cream stores, and charter fishing, instead of building enterprises that serve local needs or yield higher-wage jobs in manufacturing or value-added processing. What’s more, many of the goods that feed the tourist economy come from outside the area, a factor that reduces the net benefit to the community from the tourist trade. The two-tier economy of “tourist nobility” and “local serfs” can play out on the demand side as well. In Cuba, tourists are charged higher prices as a matter of official policy for everything from bus tickets to live performances. For instance, the weekly concerts at Unión de Escritores y Artistas de Cuba (UNEAC; the official national union of writers and artists) cost Cubans a ten-peso cover charge (about US$0.40), while foreigners pay US$5. No use trying to speak Spanish well enough to pass–the lack of a distinctive Cuban accent is a dead giveaway. The theory behind this is a version of the Marxist dictum, “from each according to his abilities, to each according to his needs.” Although it may seem odd that one customer is paying more than ten times as much as her neighbor in the next row, the two-tiered system can also be seen as a way to subsidize the provision of affordable culture and transportation to Cubans. It also serves to increase the harvest of foreign dollars that enable the Cuban government to buy needed supplies–from pharmaceuticals to petroleum–in hard currency. That harvest comes in other ways too, including steep licensing fees levied on those who house tourists in bed-and-breakfast arrangements in their homes. The idea of putting a heavier touch on tourists than on locals isn’t a new one in the U.S. It has made its appearance in the Pacific Northwest and elsewhere, with suitable deference to the laws requiring all citizens to be treated equally. Hotel bed taxes “just happen” to fall on travelers, but not locals. Some towns levy a higher sales tax during the summer tourist season than the winter, charging year-round residents a lower effective tax rate than summer visitors. Ferry tolls, too, are higher in Washington state in summer than winter. Considering the costs–from sanitation to emergency medical care–that a transient tourist population can impose on a town, such strategies are at times nothing short of essential. In fact, it can be argued that these taxes are more important in North America than in Cuba, because rents and home prices are free to float as high as the market will bear. This trend will drive out many locals unless countervailing steps are taken. In the ski town of Aspen, Colorado, for instance, some tourist revenue is diverted to subsidize rentals and home purchases for low- and moderate-income residents. In most cases, however, these programs pale in comparison with the Cuban methods of “milking” tourists. (The beaches of Oregon, for instance, will never draw sun worshippers in the same numbers as the sands of the Caribbean.) 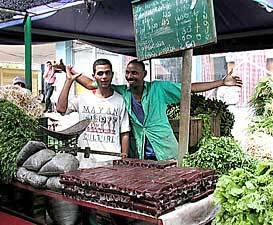 But Cuban innovations in the harvest of the tourist dollar may hold valuable lessons even across different climates and economic systems. That isn’t to say that coastal towns in British Columbia and Alaska (or any number of other similar destination communities worldwide) should perfect a system of charging outsiders tenfold what the locals pay, but if those who are steering the development of tourist economies in these communities are thoughtful, they may be able to diminish the problems of the two-tiered economy that a reliance on tourism threatens to bring with it. It’s not unlikely this will happen to you at some point in your life–whether they contact you through the mail, solicit by telephone or, like my wife and I, you make the grave mistake of entering in a “contest” at a trade show–you may one day have someone try to sell you a timeshare. For us, it was a flyer at a boat show that led to a phone call announcing we had “won” a vacation. That’s the hook: a free dinner, cash, or vacation… one time I was even offered a car. All we had to do to was spend a few hours at a presentation for timeshare opportunities–with no obligation to buy–and the rest was on the house. The woman on the other end of the phone line explained, for a few hours of our time learning about opportunities in the timeshares, we would receive two days in Orlando, Florida, with complementary tickets to the Universal Studios theme park, plus a two-night cruise to Nassau, Bahamas, and two nights in Fort Lauderdale. All we had to do was pay for airfare, pick a date, and everything else was covered. Seems like a win-win situation, right? For the record, we had no interest in owning a timeshare, and little interest in vacationing in Florida, but the prospect of a week of warmth and sunshine after one of the longest winters we’d experienced in years had us hooked. So we were on our way. Thankfully, the timeshare pitch was scheduled for the morning of the first day, so we’d get it over with and could then get on with our vacation. As we flew south, anticipating the rides and rays of Universal Studios and southern Florida, we had no way of knowing what to expect from the intrepid timeshare dealers. We felt as naïve as the rest of the “prize winners” when we arrived at the Welcome Center the following morning. The timeshares we were looking at were in Orlando, which may be second only to Las Vegas as the best example of hyperreality in the United States. It seemed fitting that the saleswoman took us to breakfast in Celebration, a real-life Pleasantville built by the Disney corporation, where people live in a “perfect” prefab town. All of the houses are Victorian and streets are flower lined with always-green parks running down their centers. Before it was establish, in 1994, the land Celebration now inhabits was wild Florida wetlands. But now the there’s a thriving community with its own golf course, town hall, post office, schools, and Main Street rife with shops, restaurants, and a movie theater. It’s a picture of the American ideal of 1950s post-War prosperity, surrounded by the new-millennium reality of modern existence. We sat down to breakfast, and our saleswoman started making chitchat. Trying to be polite and accommodating, we had a pleasant conversation about our travel experiences and more. But I couldn’t help remembering our host was a salesperson and wondered if what my wife and I said now might somehow be used against us later. After breakfast it was time for business. From behind the wheel of her company car, our new friend was busy talking up Orlando as the “premier destination in the east.” I imagined our next trip to this play-land city would involve a few small children tugging at our pant legs. Premiere destination? I doubted it. As I came to that conclusion, the car slowed down and our rep pointed to a group of three-story building that was a tree line away from the welcome enter where we started. The buildings had the look of ski lodge-type condominiums. We drove toward them and I asked about the much newer looking ten-story building right next door. We were informed that those were “phase two” of the development that wouldn’t be ready to sell for at least a few months. Before even looking at any of the units, we had a seat by the pool where our sales rep gave us the low-down on timeshares and their benefits. 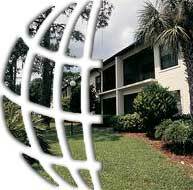 She focused on the theory of timeshare ownership, using a huge catalog of timeshare properties to explain how we could use our timeshare weeks to travel all over the world–Paris, Australia, Thailand, Hawaii–simply by trading our space and time in Orlando for someone else’s. It could all be there for our benefit, she explained with an excited smile on her face. She was effective in her manner: suddenly my wife and I envisioned traveling to all corners of the world and living in the lap of luxury by using our timeshare in Orlando as “collateral.” Focusing only on positives, our saleswoman flipped through the catalog to all the places we’d talked about over breakfast. She showed us where we could have stayed, had we used the timeshare system. I realized I’d fallen into her trap. 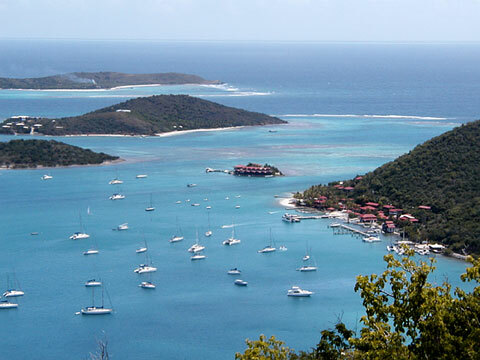 My pleasant conversation over the breakfast table was being thrown back at me in the form of beach resorts in the Virgin Islands and magical marketing words like “ownership,” “choice,” and “lifestyle.” But the prospect of it was intriguing, which led us to make another crucial mistake, we asked a lot of questions. To be fair, not all timeshare opportunities are scams or schemes. There are many people who own timeshares around the world who know how to make them work. But there are certain basic rules of “timeshare survival” that one should be aware of before spending a lot on a piece of property. The most important factor is location. There’s no use buying into a timeshare in an area that no one wants visit. These things aren’t cheap, but the benefits of having an apartment available to you in a location to which you’ll return regularly will help offset the money it costs to buy into the system. Likewise, you’ll want to be sure your timeshare is in a place others will want to visit, so the theory behind trading your timeshare to use someone else’s won’t find you washed up with no takers. Also, be finance-savvy when looking into potential timeshares. Some sales reps will twist and turn the balance sheet of buying into these things until it’s hard to tell what’s a good deal and what isn’t. Pay close attention to the numbers and payment options, know your financial limitations, and never sign anything without taking a few days to think it over. Timeshares are ubiquitous–just because your sales rep tells you it’s a “now or never” deal, doesn’t make that true. Back at the poolside, I started to see how, at a different point in my life, I could get a lot out of an investment like this. But it sounded too good to be true. I started asking pointed questions and received scripted answers. The pitch is so quick and the answers so natural, there was never any indication there might be problems traveling where and when you wanted. They made it seem like a flawless system, which made me wonder, if it’s so perfect, why don’t timeshares fly off the shelf? As I worked her for more information, she kept working on me for more information she could use in her pitch. She asked questions like, how much do you spend on hotels rooms, restaurants, and vacations in general? This information is lifeblood of the timeshare sales pitch; the more you give a rep, the more he or she will feed on it. We were still playing along because we had yet to see an actual unit. That’s when we were led to a two-bedroom condo, comfortable and roomy with the conveniences of home. The American Express slogan, “ownership has its privileges,” rang through my mind, but I knew amenities alone weren’t enough to sway me toward purchasing. Then the real selling began. Our rep had been gauging the likelihood that we’d purchase from the moment we sat down at breakfast. Unfortunately she thought she had a live one. We left the model and walked to a large room filled with round tables surrounded by families with their kids crawling all over while their parents debated the wonders of timeshare ownership. We were now two hours into our tour and hoping a quick “no thanks” would suffice to get us out of there. After rehashing some of the earlier information, it was time to look at the numbers. From our previous musings our rep had calculated we’d spend over $30,000 on hotels rooms and accommodations over the next twenty years. Then she told us the unit we’d seen had a price tag of only $21,000–less than I expected. But it seemed, because the phase-2 units were still under construction, the company offered a discount for the older ones. She promptly lowered the price to $16,000. This was the catch: the deal was good for that moment and only that moment–once we left it on the table, it would be gone. Immediately alarm bells sounded in my head. If this was such an excusive deal, what would have happened if we had come down in October instead of April? Sensing trouble, I insisted there wasn’t anything she could say to get me to purchase a timeshare in the next fifteen minutes. Unphased she continued going though the numbers. There was the yearly maintenance fee of $305, and the financing at a hefty 17.9%, a rate that wasn’t openly stated on the numbers sheet she’d given me minutes before. I was frustrated and she knew it. That’s when she introduced the mortgage “expert,” a guy about my age (30 years old) who seemed to have as much expertise in mortgage lending as I have in quantum physics. He proceeded to give us the exact same sales pitch our rep had not long before. We found his expertise consisted solely of extending payments beyond the original ten-year term, but at the same 17.9% interest rate. It was like being offered a loan by the very person who’d just stolen your wallet. He left us to think about it. My wife and I thought about walking out, but they were holding our vacation hostage– they give you vouchers for each consecutive part of your trip only after you’ve endured a complete sales presentation. If we left now we would be stuck in Orlando with no place to stay. That’s when I realized, nothing here was free. When our intrepid salesperson returned, she told us we would have an opportunity to see a unit in the new building, the one still under construction. This was the beginning of a very a dirty trick. They told us these units were a whole new “concept” in timeshares. She’d obviously sensed we were ready to leave. For an unfinished building, it certainly appeared complete. There were people in the swimming pool and not a workman or construction vehicle in sight. After a trip up to the top floor to see the view of Disney World, we were led into a unit that was a step above the other, older, one. It was a two-bedroom as well, but there was an option to divide it into two one-bedrooms with a partition. This, she said, offered all sorts of head-spinning options: turn a one-week timeshare into a two-week “opportunity,” by using only half of the unit at a time. My immediate reaction was one of disbelief–she had moments ago tried to sell us a vastly inferior unit, and showed us this one only because we were unwilling to buy the first. Back at the sales table, our rep and the mortgage expert were tossing around numbers that seemed unreal: $24,000 for the newer units; discounted to $14,000; and again to $9,000 for no apparent reason. Then they said we could find our own financing to avoid the high interest rate. Before long, I wondered if they’d just give us a unit for free. The whole procedure was seemed very unethical to me. Their catch was this: as the price continued to plummet, so did the amount of time we’d be allowed to use the timeshare. Plus, the units came with confusing “bonus weeks,” which implied we could extend our time over two or three years to avoid paying the maintenance fee of $505 a year. Lost in all this wheeling and dealing was any fine print that might unravel all of these “perks.” Dissatisfaction was written all over our faces, and finally, they said, they just wanted to ask us a few questions about the process, then our rep would take us back to the welcome center to pick up our ransomed vouchers. But this so-called exit interview proved to be the beginning of yet another sales pitch! A new rep sat us at a new table and proposed new deals before rudely announcing this was not for us. We looked at each other with bewilderment, stood, and left. As the trip went on we would cross paths with many of the people who had been part of the same program as ours. We discovered their stories differed little from our own. Not surprisingly we met no one who purchased a timeshare. The moral of the story? Don’t be completely averse to the possibilities that a timeshare might offer, but use common sense. Don’t fall victim to the kinds of unethical and heavy-handed sales tactics designed to make a bad investment sound like a one-way ticket to paradise. To use a cliché that’s earned its status as such: if it sounds too good to be true, it probably is. If you have any questions about this story or would like more information about Travel Outward, contact us.